"Savory Pumpkin and Squash Recipes"
Come taste some savory sides and main dishes with pumpkin. Let me share my favorite soup made with black beans and pumpkin! The family won’t believe it has pumpkin in it. 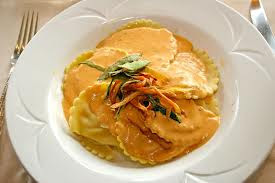 Find out how easy it is to make pumpkin or squash ravioli with a browned butter and sage sauce! My all time favorite recipe is acorn squash with wild rice and Brussels sprouts. More fall favorites to add to your family dinners! Go to our Facebook page and click on "Enter To Win"
Deadline to enter is Thursday, November 22nd 2012, at 11:59pm. One winner will be selected at random and contacted on Friday, November 23rd, 2012. 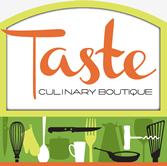 Winner will receive free admission to the cooking class "Savory Pumpkin and Squash Recipes" at Taste on Tuesday, November 27th 2012 at 6:30pm. Winner contacted will have 24 hours to respond and claim their prize, or another winner will be chosen. We are not responsible for emails that end up in junk folders, or internet problems by the selected winner that may cause them to miss responding. REFER YOUR FRIENDS! After hitting submit on the entry form, a share box will pop up. Share that with your family and friends, because you get an extra entry for each person that enters off of that link!